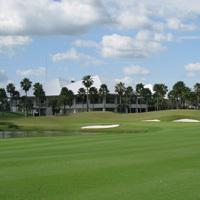 Lotus Valley Golf Resort is located east of Bangkok; approximately 50 minutes from Suvanabhumi International Airport. Formerly the World Trade Golf and Sports Club, Lotus Valley Golf Resort is one of only a handful of Gary Player designed golf courses in Asia. The famous South African created a good balance of golf challenge while using modern golf course construction methods and quality. The golf course has two conventional loops of nine holes adding up to a championship length of 6,955 yards from the tips and a par 72. Every hole represents its own individual challenge and affords both an easy path to the green for par or a more risky route for a birdie chance. Water come into play on every hole to some degree or anther. True to Player’s style and in leaning towards the traditional Scottish design, close cut fairways and fringes feature around the greens.